Marcel Lefebvre, an associate pastor, missionary bishop, papal delegate, and superior general of a missionary congregation, was a man of action. His intellect, without being very speculative, was nevertheless imbued with doctrine. In forming priests, he taught the profound nature of the Catholic priesthood and spread its spirit and virtues. I say this in the presence of God: I had the very great and undeserved honor of being his theologian. Sworn confidentiality prevents me from speaking about the work that I did under him, but I betray no secret by telling you that Archbishop Lefebvre is a theologian, and by far superior to his own theologian, and God grant that all the [Council] Fathers might be theologians to the same degree as he is! 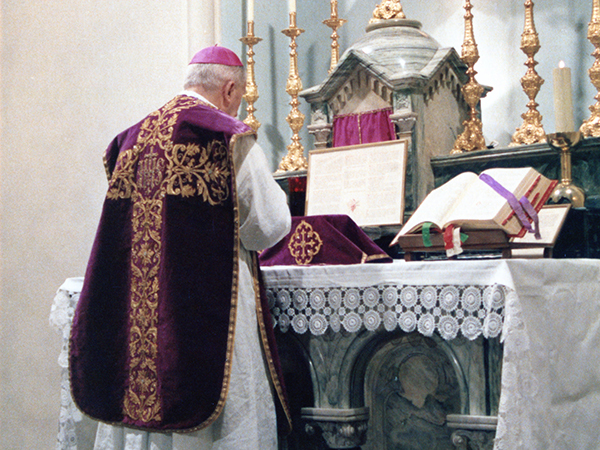 He has a perfectly sure and refined theological habitus, to which his very great devotion to the Holy See adds that connaturality that allows him, even before discursive thinking intervenes, to discern intuitively what is and what is not compatible with the prerogatives of the Rock of the Church.